There are many opportunities to sponsor of the Annual Forecast Event and be a part of this exciting annual event. Brokers, architects, owners, investors, lawyers, financial sources, property and asset managers, entrepreneurs, developers, contractors, engineers, among others. 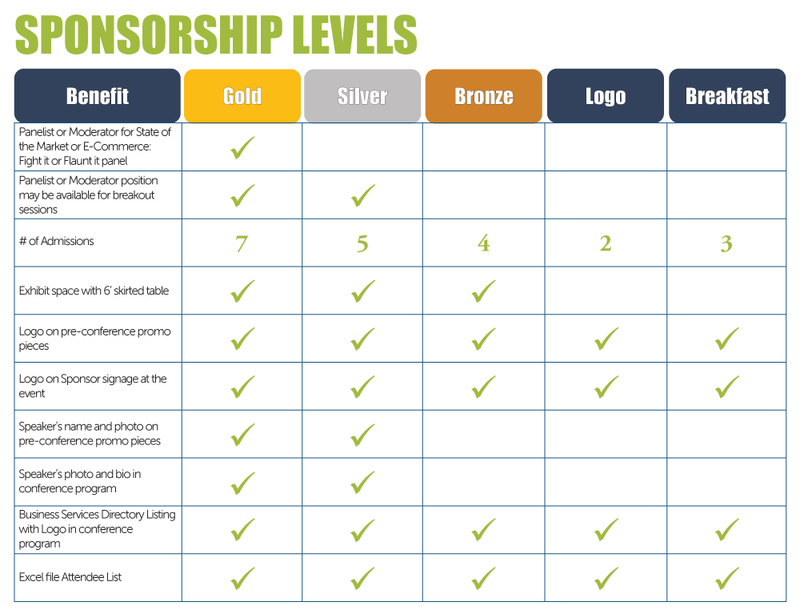 Benefits depend on the level of sponsorship, but can be summarized as follows. Charging stations—for iphones, smart phones, tablets and laptops—will be strategically placed throughout the conference area—in the lobby, in the general exhibit area—allowing attendees to improve their ability to stay in touch. Be one of two firms to sponsor these electronic charging stations. It’s cold in Chicago in January, and +/-1,000 people will want to check their coats—without having to dig into their pockets for a few bucks. Be one of two firms to sponsor this practical but very necessary amenity. The grand ballroom will be set theater style with approximately 1,000 chairs; breakout sessions will be set similarly with 100 to 150 chairs. Have your logo or specialty advertising message placed on the back of these chairs and visible to all but those who sit in the front row (and who ever sits in the front row). Speak to a representative about this opportunity. Everyone likes to stay connected, especially when they are at a half-day event. Be the sponsor that provides WiFi Connectivity. Help attendees get their day started with Room Scale and 360 virtual reality games and experiences. Let them climb Mt. Everest, walk the plank from a Class A office tower, shoot some hoops, race Le Mans or engage in a variety of other breathtaking activities.